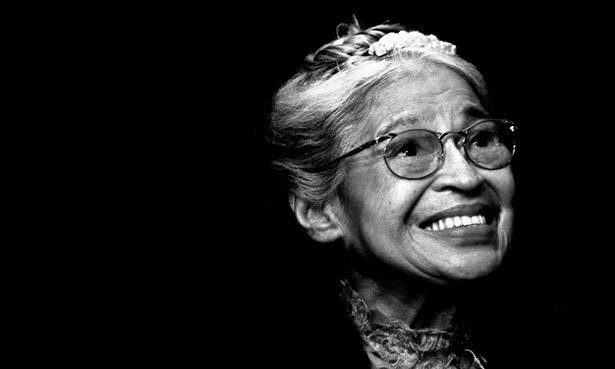 Maslow Media Celebrates Black History Month!
" Change will not come if we wait for some other person or some other time. We are the ones we've been waiting for. We are the change that we seek." As we celebrate Black History Month, we remember the courageous African-American heroes who have made this country better through change. At MMG, we strive to be industry leaders by improving our methods every day. We are constantly changing for the better, and it is our own self-will that drives that change. May we never stop changing. How Long Should Your Business Video Production Be? In the office, commuting to work, and during off hours; on our desktops, laptops, tablets and mobile devices...we are all watching more online videos for business than ever before. We watch online videos to get informed and make decisions across every stage of the purchase cycle... and this trend will only increase over the next few years. In fact, Cisco predicts that globally, online video traffic will be 80 percent of all consumer Internet traffic by 2019 (a number that is up from 64 percent in 2014). So what this means is that your next and current clients love watching videos on your website, blog, email and social media channels. This is probably because of online video content's ease of consumption and its tremendous power to people get educated and make decisions. Giving your clients what they want by integrating online business video communications into your everyday marketing efforts will differentiate you from your competition, provide highly valued sales assets, social media content, build relationships, and motivate customers to move into and through the buying process...yes, it will really do all of that! But what is the optimal length of an online business video production? Will people watch more than 30 seconds? Will they watch for 90 seconds? 180 seconds? 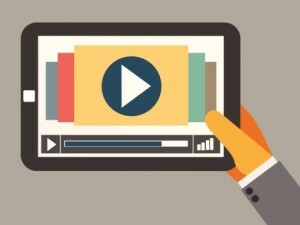 What is the golden rule for how long an online video should be for business? The Maslow Media Group provided video production services to include camera crews for two days at the Senior Bowl in Mobile, Alabama. The purpose of the videotaping was to create onsite presentations featuring financial education seminars, designed for & tailored to athletes, entering the professional sports arena. The Obama Administration is proposing a new rule to address unequal pay practices by requiring companies with more than 100 employees to submit salary data by race, gender and ethnicity. The announcement comes seven years after President Obama signed the Lilly Ledbetter Fair Pay Act - his first piece of legislation as president - which makes it easier for women to challenge discriminatory pay in court. But a stubborn, substantial pay gap between men and women persists, and it affects black and Latina women the most, Obama said as he introduced the proposal. The president said he would contine to work to reduce the gap as long as he was in office. "Social change never happens overnight," he said. "It is a slog and there are times when you just have to chip away and chip away. ...It's reliant on all of us to keep pushing that boulder up the hill." Congratulations to the winner of February's "SNAPSHOT" photo contest, Frank Mendez . This picture was taken at his home in Maryland after shoveling through the aftermath of Winter Storm Jonas. Chauncey D. Manson, III joined MMG in November 2015, bringing over 25 years of high level broadcasting and management experience, providing internal and external corporate content creation and delivery. He graduated from Howard University with a TV and Film degree and has worked in the Washington, DC market his entire broadcasting career. He is now creating win-win business development plans, and building sales and marketing relationships. He spends his time outside of work with his family in Silver Spring, MD, his alma mater, and his Fraternity. "The Production Managers at Maslow Media Group are such pros in this industry and have given me the exact support I need."